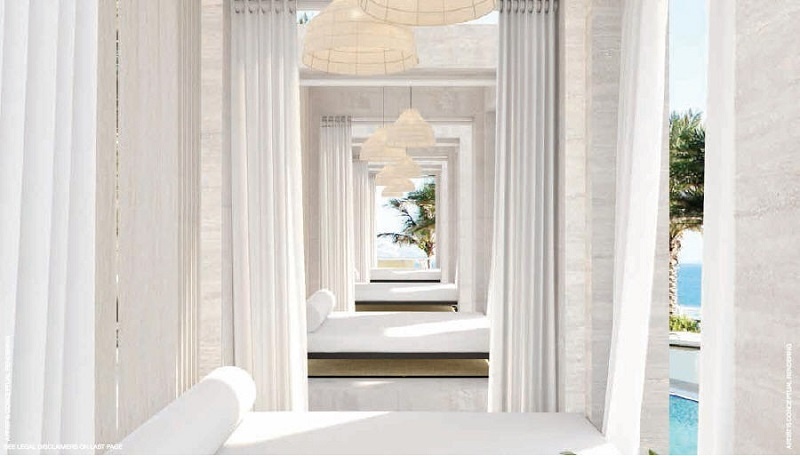 The Auberge Beach Residences & Spa Fort Lauderdale. 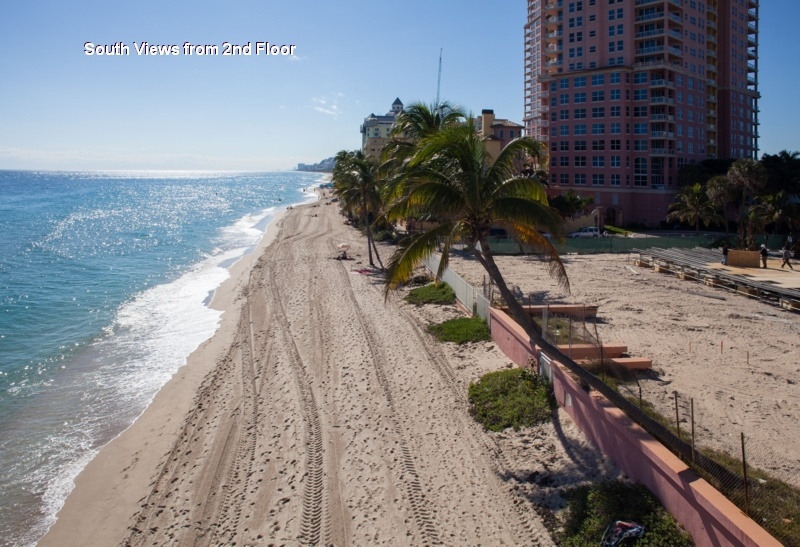 Luxury oceanfront Fort Lauderdale condos at The Auberge Beach Residences & Spa. 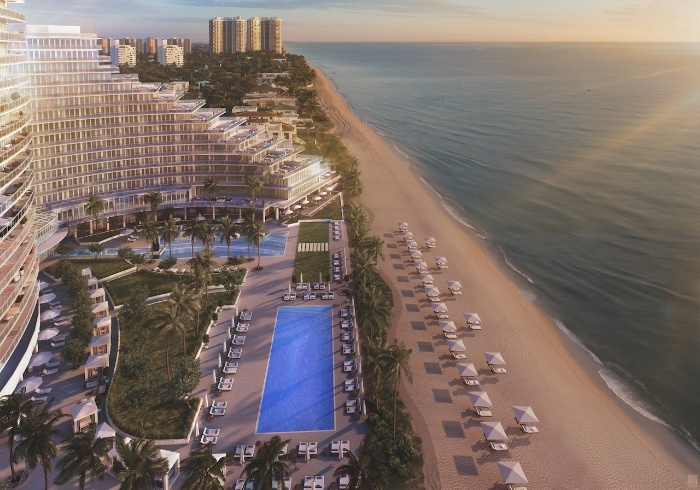 Construction is completed and NOW OPEN directly on the ocean in Fort Lauderdale - The Auberge Beach Resort Residences & Spa Fort Lauderdale. 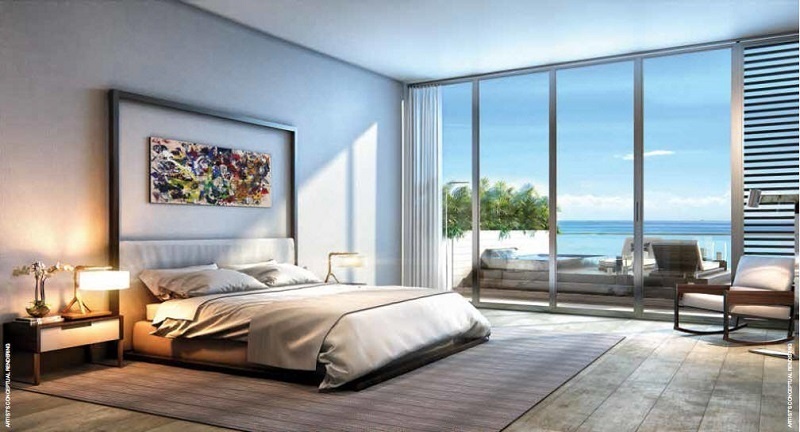 The newest TRUE oceanfront condominium on Fort Lauderdale Beach. 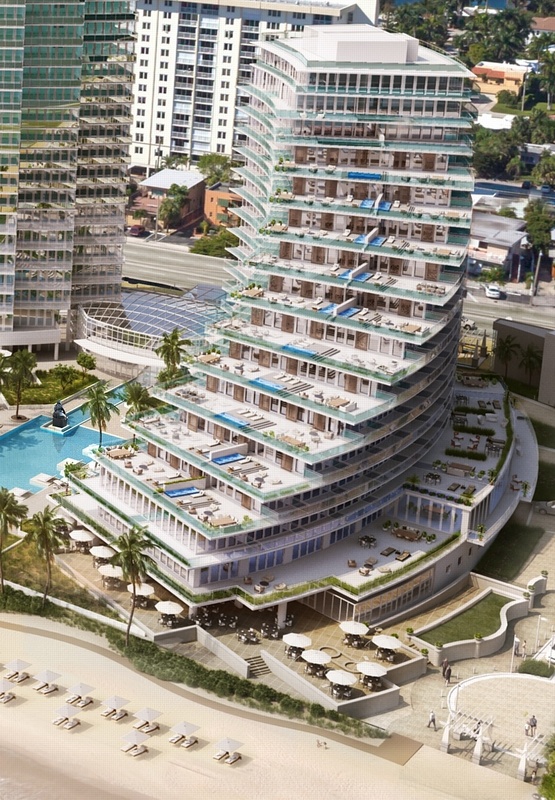 The Auberge Beach Residences & Spa Fort Lauderdale will feature two luxury condo towers directly on the beach. 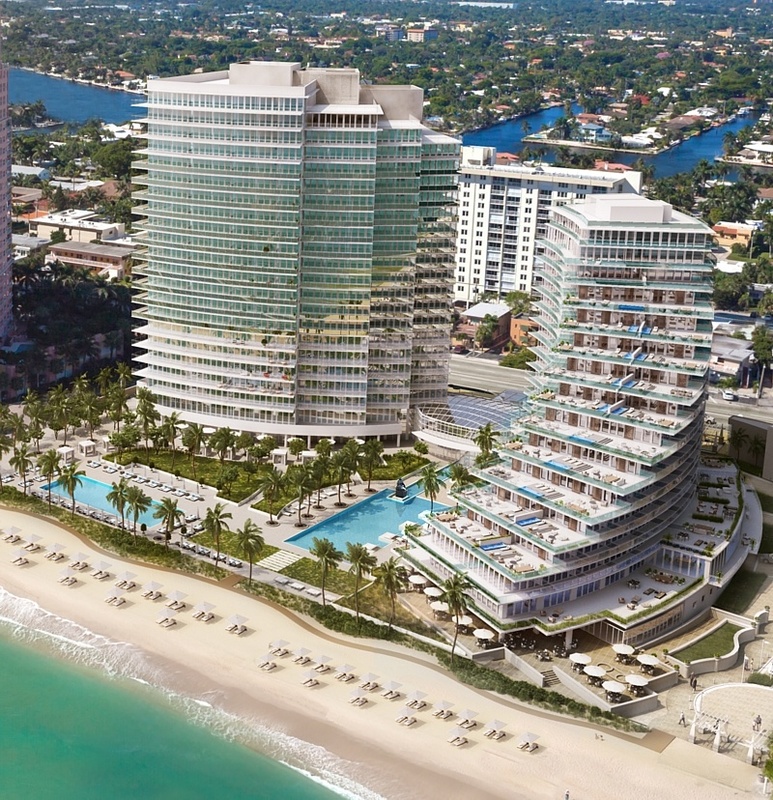 The two beautifully designed Auberge Beach Resort Fort Lauderdale contemporary styled glass buildings include a north tower with 17-stories and just 51 residences, and a south tower with 20-stories and 115 residences. 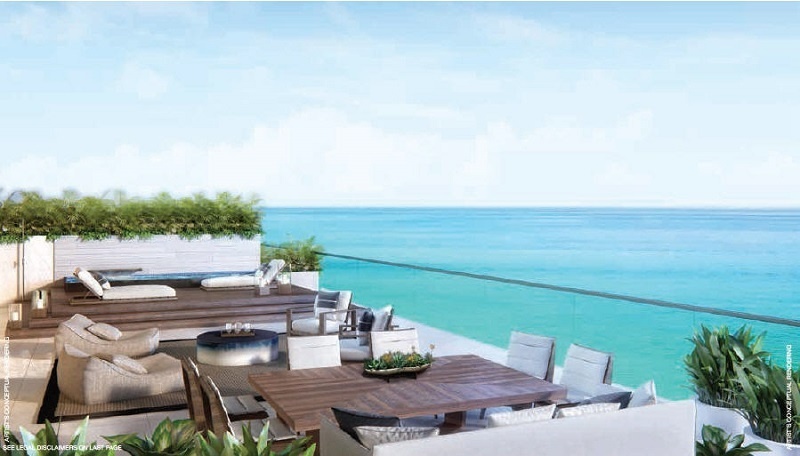 Located on 450 linear feet of sandy white beach, this luxury condominium property will offer each residence spectacular and unobstructed ocean views. 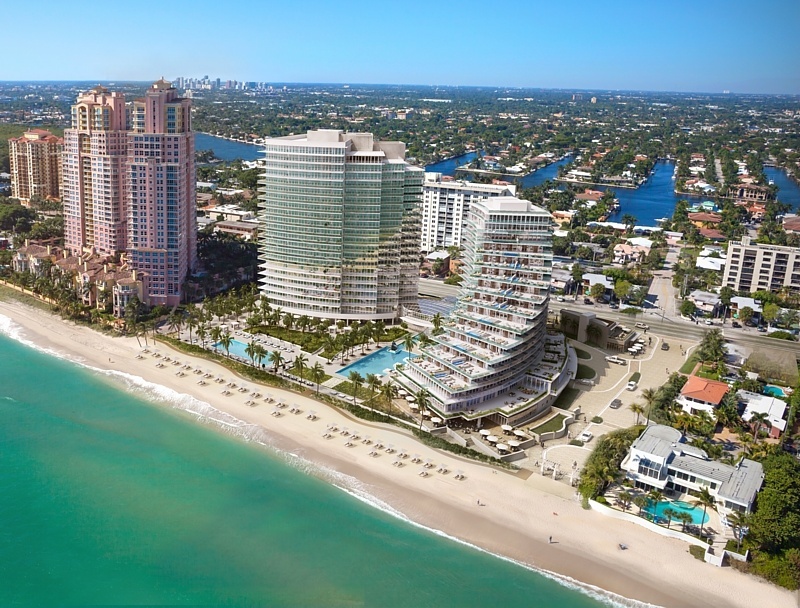 The Auberge Beach Residences Fort Lauderdale twin towers are home to a total of 171 large luxury condominium residences, all with east-to-west "flow-thru" floor plans ranging in size from approximately 1,500 square feet under air to over 5,000 square feet under air. Floor plans include 2, 3, 4 and 5-bedroom plans with all residences featuring large terraces from 900 to over 4,000 square feet of extra outdoor living space on the terraces and balconies. 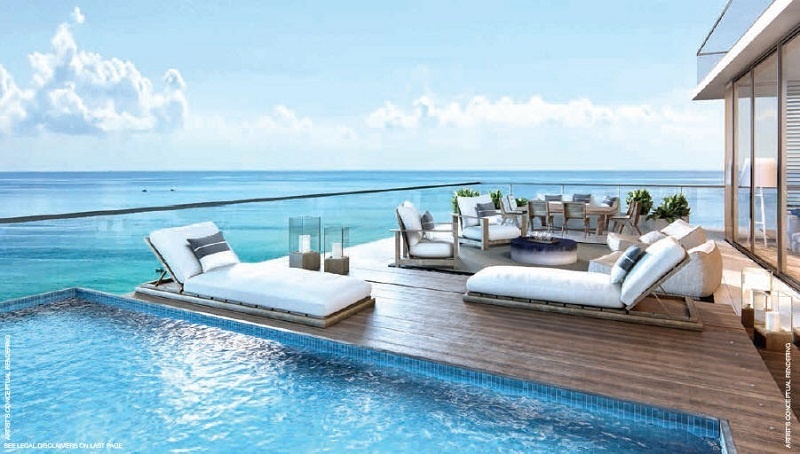 Each tower is topped off with a full floor, two-level "wrap-around" penthouse of over 5,000 square feet under air and just over 3,500 square feet of outdoor terrace and deck space. Auberge Resort Fort Lauderdale condos preconstruction price ranges* were priced from approximately $1,500,000 to over $9m. 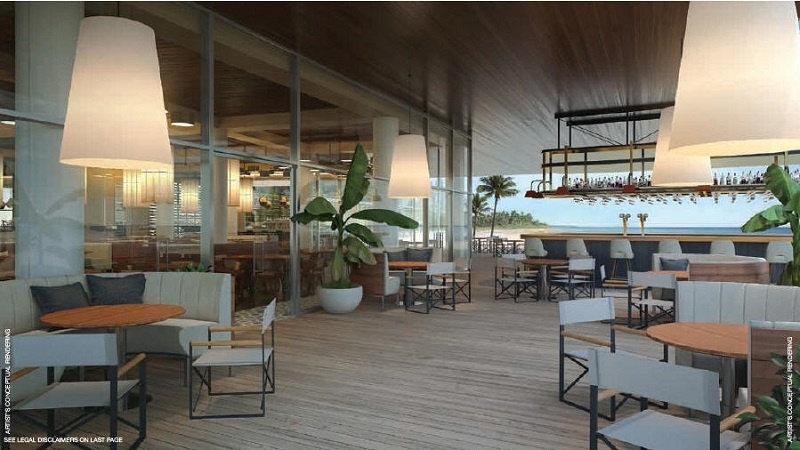 Preconstruction reservations and sales began in early 2015 at The Auberge Beach Residences & Spa Fort Lauderdale. Groundbreaking began late 2015, with the construction completed on the north tower in spring of 2018, and the south tower completed in summer of 2018. 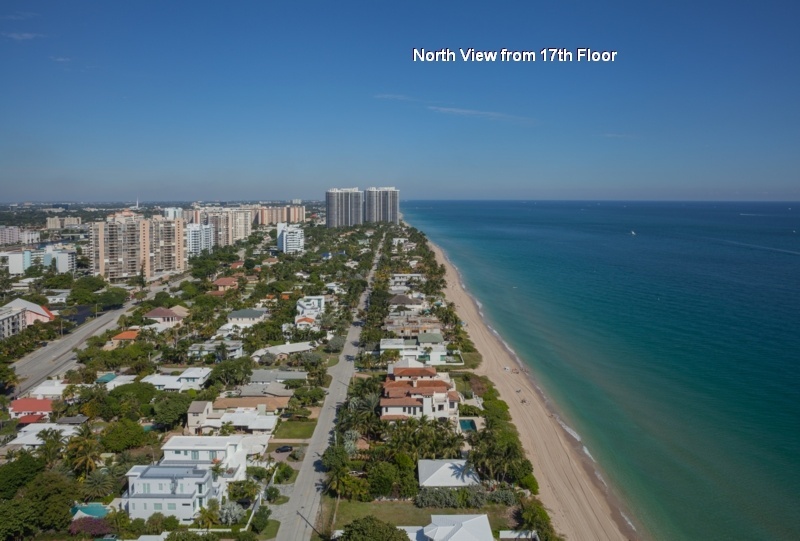 Contact Linda "G" directly to schedule your appointment to view the site and learn more about this beautiful oceanfront condominium property. The "flow-thru" floor plans offered for each residence is a highly sought after feature, as it allows every resident to enjoy sunrises over the ocean and golden sunset views directly from their residence. Each residence also features a private elevator entry into your home, among many other highly sought after features and amenities. Multiple swimming pools surrounded by lush landscaping overlook the beach and Atlantic Ocean. Private restaurants and lounges provide gourmet dining, cafe dining and lounges within the property and among the outdoor amenities. State-of-the-art fitness center and full-service Spa operated by Auberge offers world-class fitness and spa services. All residents amenities and public areas are featured on the ground level immediately above a below-grade parking garage. An elegant two-story lobby opens to an oceanfront pool deck, spa and cabanas. The residences begin on the 2nd floor, featuring beautiful views from even the lowest floor residences. Developers - The Related Group was established in 1979, and is one of America’s leading developers of sophisticated metropolitan living and one of the largest firms. For more than 30 years, The Related Group has created innovative residential developments that have dramatically changed South Florida's landscape and beyond. Since its inception, the privately held company has built and managed more than 85,000 condominium and apartment residences. 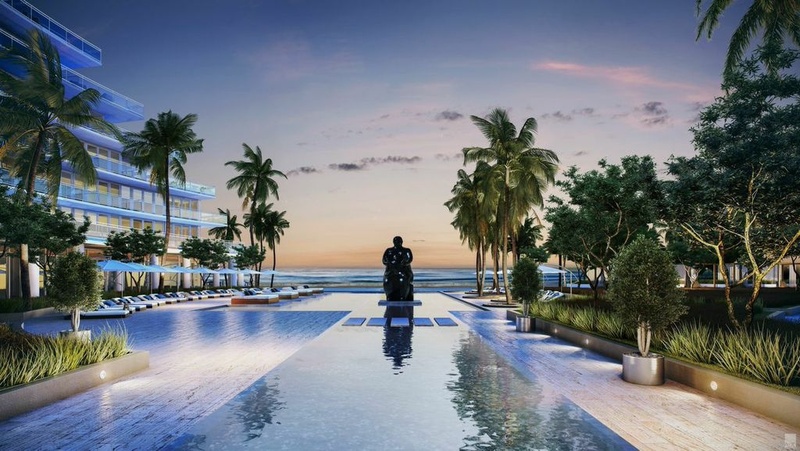 The Related Group has redefined the new cycle of South Florida real estate with the rollout of over 12 projects beginning with Apogee Beach in Hollywood and Mybrickell in downtown Miami, the first in each of their respective neighborhoods to break ground since the boom. The name Fortune International Group is synonymous with excellence and an unwavering commitment to quality and customer service in the world of luxury real estate. Visionary founder Edgardo Defortuna has set new industry standards ever since the company’s founding in 1983. Fortune is a recognized leader in both the development and sales and marketing of South Florida luxury real estate with a portfolio that includes residential, mixed-use, condo-hotel and office-condo projects. 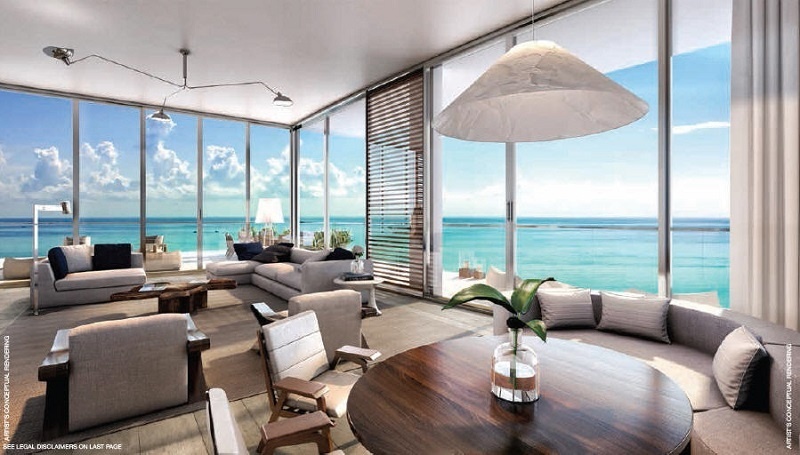 The company’s developments include Jade Residences at Brickell Bay; 1200 Brickell; The Bridgewater; Artech; Le Meridian Sunny Isles Beach; Jade Beach and Jade Ocean. 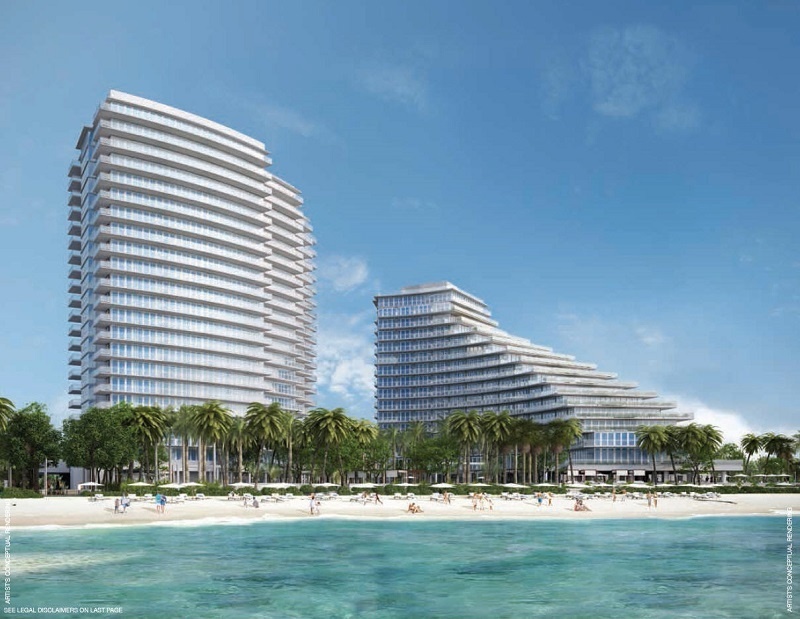 In collaboration with The Related Group, Fortune International Group is developing Hyde Resort & Residences Hollywood Beach. Architect - Internationally recognized architectural firm Nichols, Brosch, Wurst, Wolf & Associates, which has designed Miami condominium projects for The Related Group and Fortune International Group, as well as South Florida luxury hotels such as Marriott Marquis Miami World Center, W Hotel & Residences Miami Beach and The Ritz-Carlton Resort & Residences Key Biscayne, has envisioned two light-filled glass towers that will maximize the project’s rare on-the-beach setting and panoramic views with a resort-like ambiance. 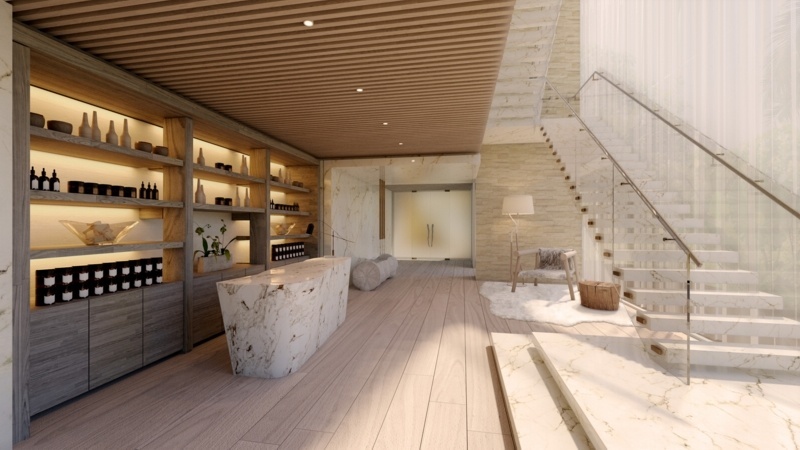 Departing from South Beach contemporary and traditional designs, the 171-residence property will strike a natural balance with a visual aesthetic that is soft and organic, but also sophisticated and luxurious. 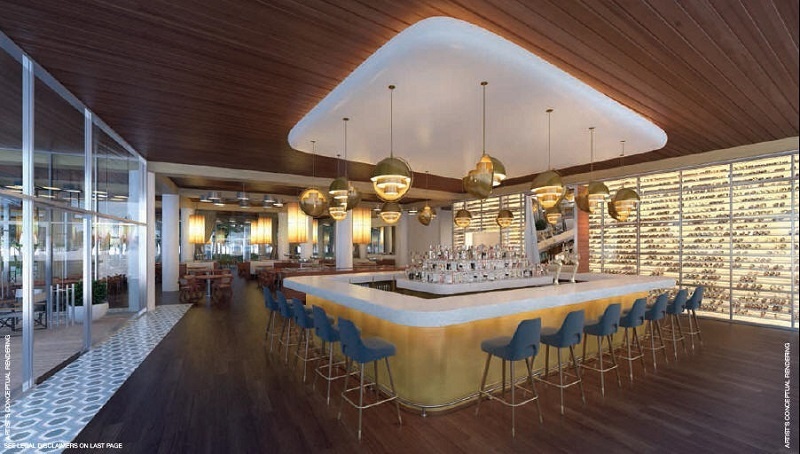 Interior Designer - The interior spaces are being designed and by the award-winning New York-based design firm of the Meyer Davis Studio. Their exceptional design portfolio includes 1 Hotel & Homes South Beach, W Hotel Mexico City and Capri Hotel Southampton to name just a few. 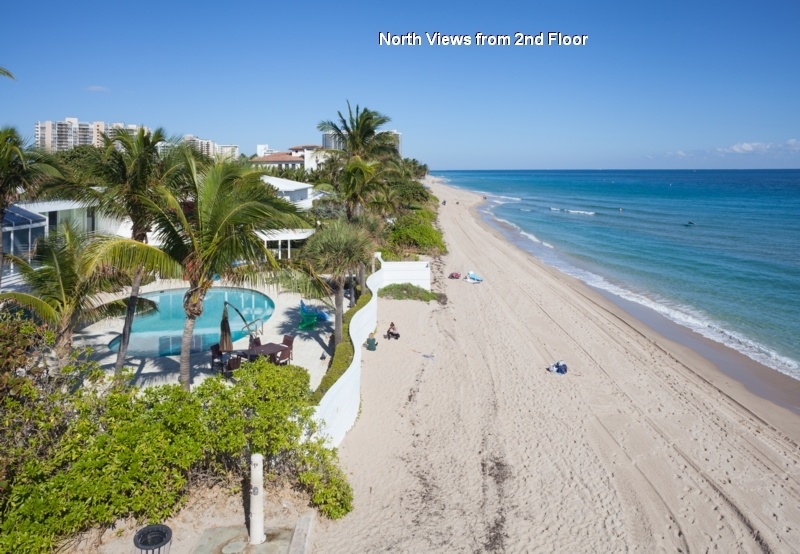 Auberge Beach Fort Lauderdale condominiums for sale - The developer has released a limited number of available Auberge Beach Residences onto the public MLS, those residences are shown below. 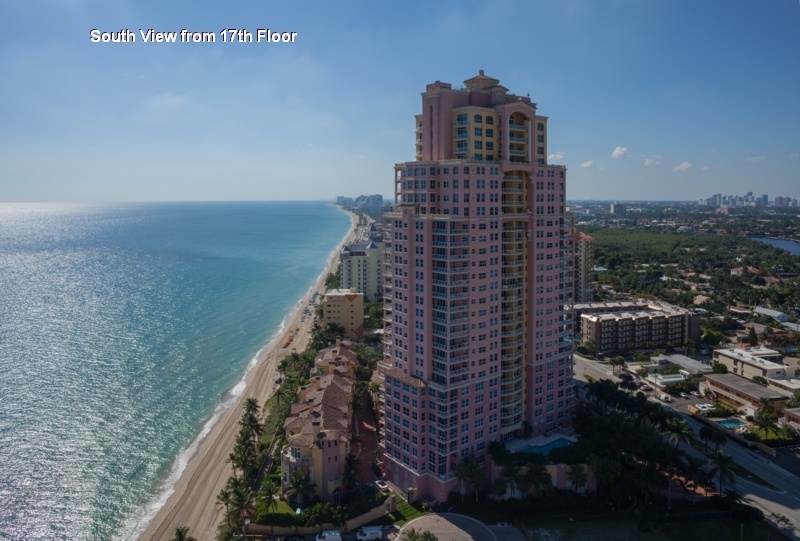 Many other residences are still available, please contact Linda "G" directly for the up-to-date availability list and to have Linda represent you in negotiating your very best purchase at this luxury Fort Lauderdale oceanfront condominium property. Disclaimer: Linda "G" and Linda G Properties is a licensed independent real estate agent and does not represent the developer of this project in any way. Linda "G" provides unbiased representation and works directly in her client's best interest in representing them in their purchase of any preconstruction, new or resale real estate in Florida. Estimated Maintenance: $0.95 - $1.00 per sq. ft. 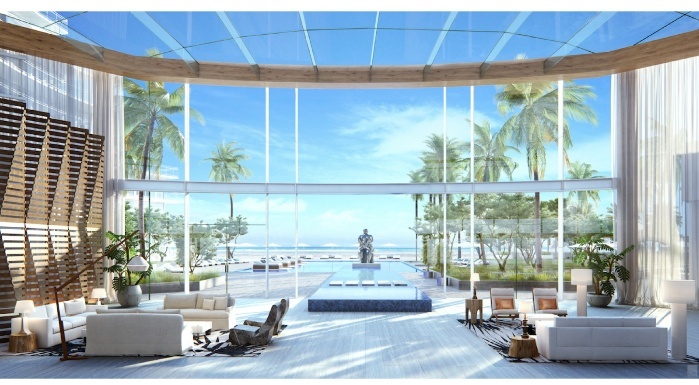 Contact Linda "G" directly for more information on this new beachfront Fort Lauderdale luxury condominium development.